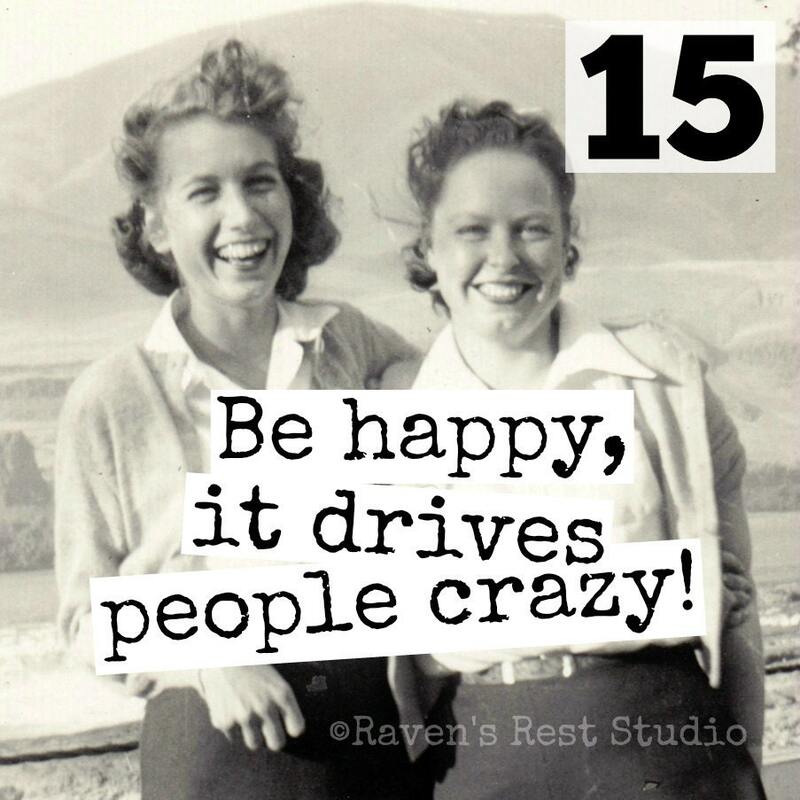 Magnet #15 - Vintage Friends - Be Happy, It Drives People Crazy! 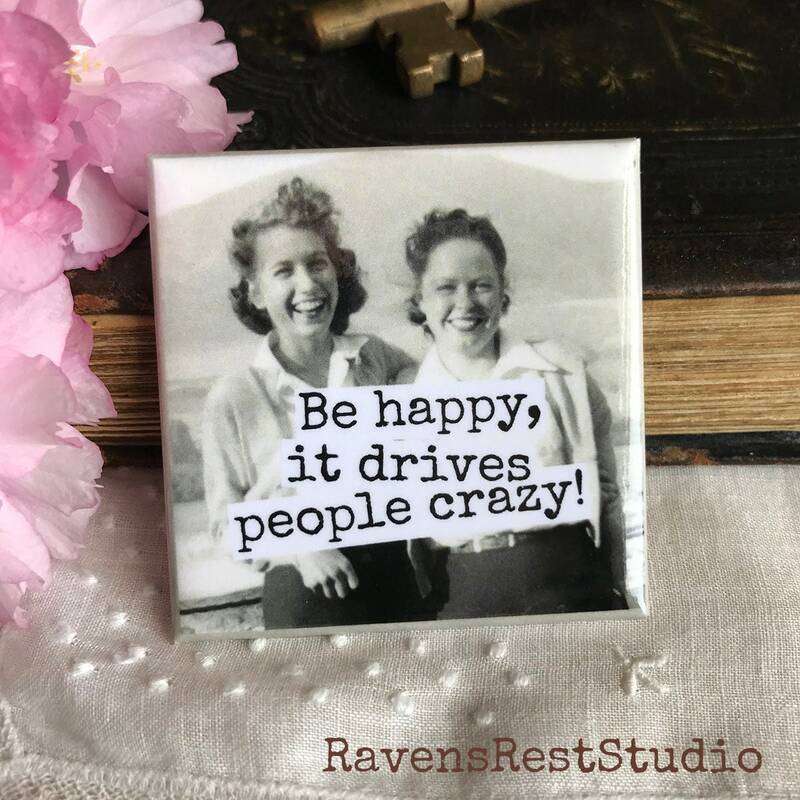 This 2 inch square magnet features a pair of happy vintage friends and reads: "Be happy, it drives people crazy! ".